Shane Wilson; General Secretary 4As, Sheron Jayasundara, Advisor 4As, Sugibun Sathimoorthy; President IAA Sri Lanka Chapter and Laila Gunasekera; Past President IAA. 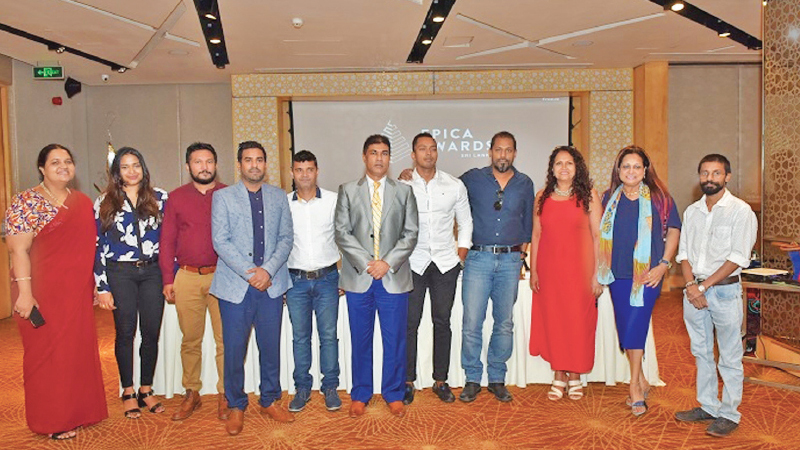 The Sri Lankan Chapter of the Association of Accredited Advertising Agencies (4As) has partnered with the globally renowned Epica Awards to launch a special edition of the awards for the first time in Sri Lanka. The Sri Lankan Epica Awards Event will take placefrom August 16 to 17 and will include a one-and-a-half day conference featuring sessions and workshops by local and international creative industry professionals, culminating in the Awards ceremony. The Epica Awards were established in 1987 in France to reward outstanding creativity in advertising, design, media, PR and digital. The most unique aspect of these awards is that the jury panel consists of journalists from around the world working for more than 200 marketing and communications magazines and websites such as Adweek, Creative Review, Shots, C-NET, and Forbes. Epica Awards currently attracts entries fromagencies, production companies, media consultancies, photographers and design studios from over 70 countries. The jury for the Sri Lankan edition of the Epica Awards will consist of journalists who specialize in advertising, marketing, production, design, luxury branding and virtual reality, including some of the members who serve on the panel of the main Epica Awards. Mark Tungate, the editorial director of the Epica Awards and moderator of the international jury will chair the jury for the local edition of the competition and also be part of the final panel of judges in Sri Lanka. “The Epica Awards Sri Lanka is the perfect platform for all those involved in the creative field, be it advertising agencies, media stations, production houses, app developers, content creators, photographers or illustrators, to showcase their great work and be recognized for it. We welcome creative work developed on multiple platforms, from established organizations and freelancers alike. We want the competition to be as inclusive as possible, so that this would be a true celebration of all creativity in the country,” said Tharaka Ranwala, President of IAA Sri Lankan chapter.